Hello friends, how are you today? do you have Sony Ericsson Xperia Arc ? I want to share information about the Sony Ericsson Xperia Arc. Sony Ericsson Xperia Arc is a smartphone with the latest technology that provides exceptional multimedia experience with latest 2.3 Gingerbread Android platform. For the camera, Sony Ericsson Xperia Arc have 8.1 megapixels camera, camera phone sensor with Exmor R f/2.4 lens from Sony, the camera is also capable of recording 720p HD quality video. Sony Ericsson Xperia Arc using the latest 2.3 Android platform that provides services and Android Google Mobile Services Market. Sony Ericsson Xperia Arc has a thickness of 8.7 mm at the thinnest part and 9 mm at both ends. 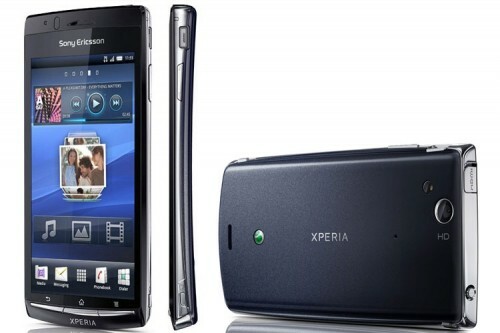 Also, Sony Ericsson Xperia Arc have super multi-touch screen 4.2 inches wide by Sony Mobile BRAVIA Engine technology that provides brilliant visuals. Certainly one that I like from the Sony Ericsson Xperia Arc is its wide screen. What about you, what you like from the Sony Ericsson Xperia Arc ? * Actual free memory may vary due to phone pre-configuration.